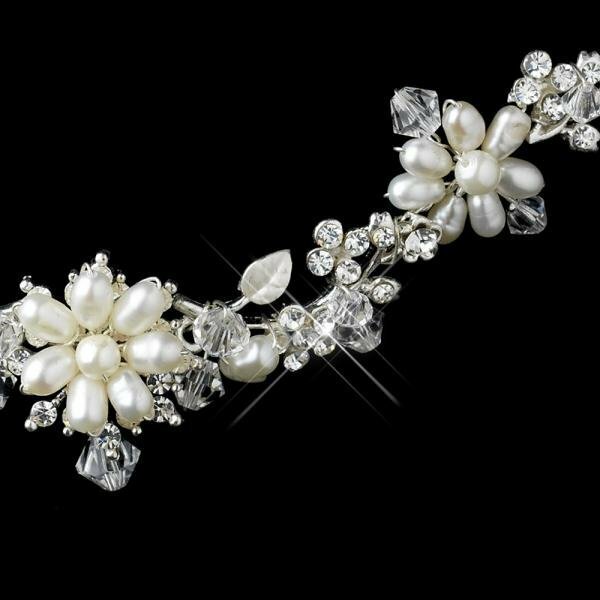 Pretty freshwater pearl flowers adorn this lovely rhinestone floral pattern necklace. 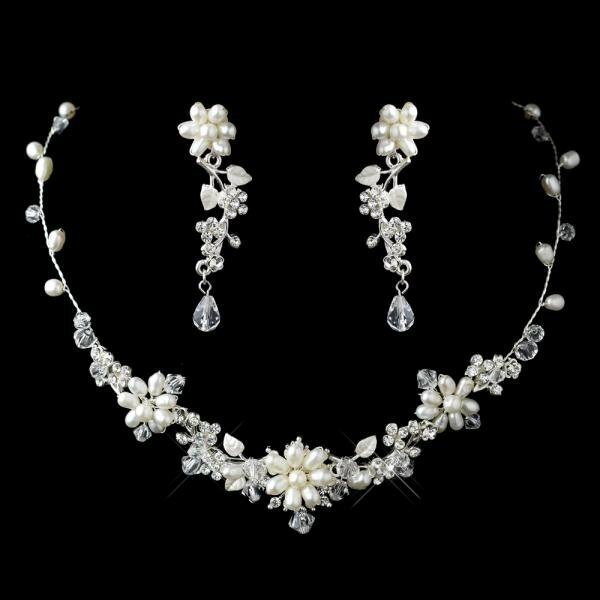 Necklace would match perfectly with off white or ivory wedding gowns. Size: Necklace - 38 cm long with 7.5 cm extender. Earrings - 5 cm long.